NEW YORK, USA: Prior to the 11th session of the Conference of States Parties to the UN Convention on the Rights of Persons with Disabilities, apply to participate in a one day workshop on the Measurement of Disability, to be held on the 10th of June, in New York. The Workshop will include modules on the (i) Importance of Data, (ii) Concepts and Definitions, (iii) Data Collection Methods and Tools, (iv) Making Use of Data. 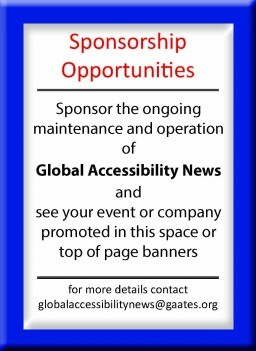 · Understand how to disseminate and use data effectively to promote the rights of persons with disabilities. Application deadline is 15th of May! All interested are encouraged to apply! There is limited funding available for participants. The selected participants will receive an invitation to attend the workshop no later than the 20th of May.